Is there anything Joanna Gaines can't do? Between her amazing line at Target that has us all 😍, her flawless approach to having a gorgeous home, and her ability to calm and inspire moms everywhere, the answer seems to be a resounding NO. Sigh. 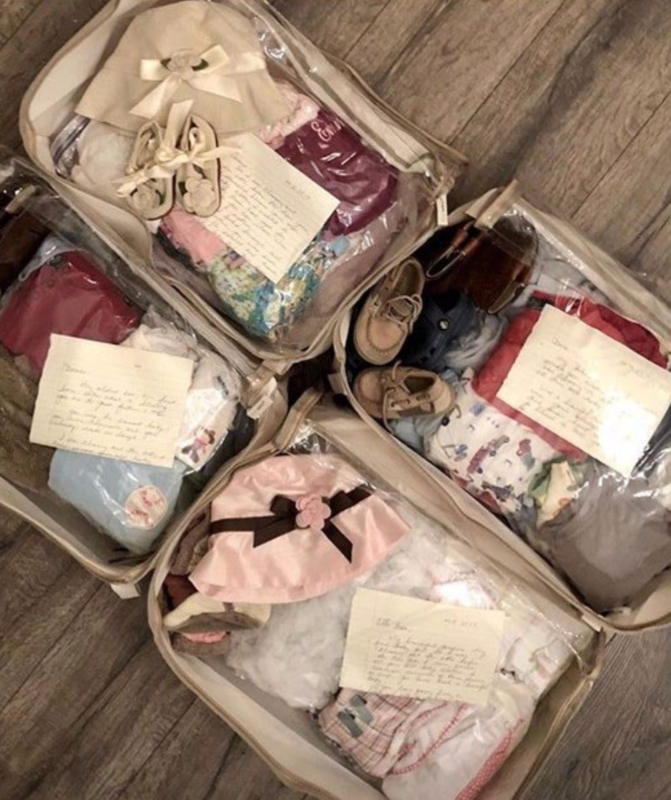 This weekend she added to her list of wonders by sharing her parenting hack that solves a major mama-stress point—how to store all those sentimental baby clothes. And the idea comes just in time for her to use it again with Gaines Baby #5 now on the way! She chose her favorite outfits and put them in clear zip containers, along with a little note. “ I wrote them a note for later in case they are sentimental like their mama," says Gaines. Genius, and so, so sweet. Tearing through our junk drawers to cut the clutter feels amazing, but the idea of getting rid of sentimental baby clothes can be heartbreaking—those little outfits flood our minds and hearts with wonderful memories. Gaines's solutions is genius—we get to keep those frilly little dresses and ridiculous overalls, and we can actually see them, instead of throwing them into a disorganized pile somewhere... ahem, not that I've ever done that.